The City of Melton is home to native plants (flora) and animals (fauna) that are protected by Commonwealth and State laws and the Melton Planning Scheme. It is important that threatened flora and fauna are preserved. If you are unsure whether the flora and fauna on your land is threatened or protected please consult with council. Do not remove rocks, boom spray or accept landfill unless you are sure this legislation does not apply to you as you may need a permit or Commonwealth approval. Severe fines can be imposed if you break these laws. Melton Council can assist you to identify and preserve the native flora and fauna and enjoy the natural assets of your property. Melton is mostly located within the Victorian Volcanic Plain (VVP) bioregion. The VVP is Victoria’s only biodiversity hotspot and one of only 15 in Australia. The VVP stretches from central Melbourne to Portland and has volcanic soils that were originally covered with open grasslands, grassy woodlands and grassy wetlands. Following European settlement most of the plains were modified for agricultural purposes with much of the VVP losing its native vegetation. It is thought that as little as 1% of the former extensive grasslands and grassy woodlands of the VVP survive today. Remaining areas of native vegetation, although fragmented, are crucial for many threatened fauna.The degradation of vegetation and habitat, killing of native animals by feral foxes and cats, changing fire patterns, weed invasion and the grazing pressure of domestic stock, kangaroos and feral rabbits all pose major threats to Melton’s biodiversity. Because of previous clearing many vegetation types in Melton are threatened with extinction - many are rare and some endangered. Threatened vegetation, flora and fauna species, are protected by the Commonwealth Environmental Protection and Biodiversity Conservation Act 1999 and the Victorian Flora and Fauna Guarantee Act 1988. A permit is required from Melton City Council to remove, destroy or lop native vegetation under Clause 52.17 of the Melton Planning Scheme, and referral to the Commonwealth Government may also be required. For proposed clearing within Melbourne's Urban Growth Boundary inside the City of Melton, permission may be required under clause 52.16 of the Melton Planning Scheme, unless removal is permitted under a Native Vegetation Precinct Plan (NVPP) under one of the Precinct Structure Plans (PSPs) administered by the Victorian Planning Authority. Within these PSPs, referral to the Commonwealth Government may not be required, provided that the planned activities are in keeping with the PSPs. 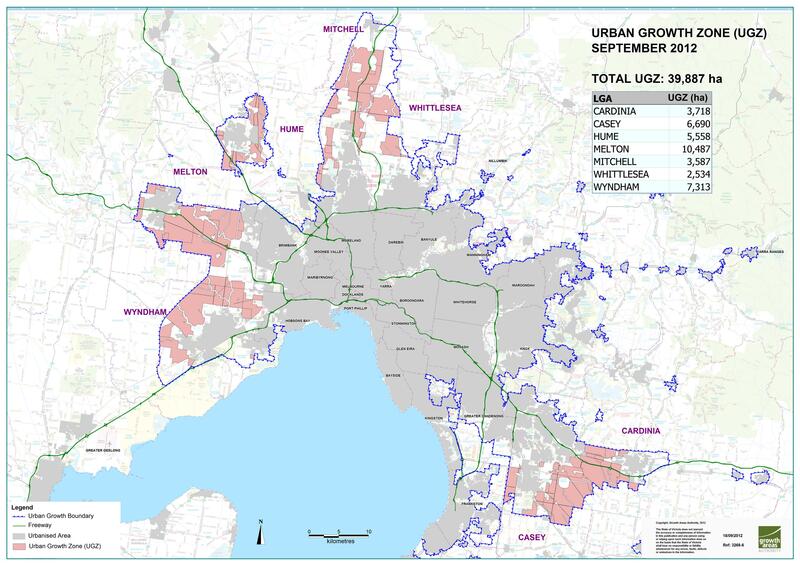 Outside the urban development areas (for example within a Green Wedge zone), other protective measures in the planning scheme restrict or require permits for activities that may negatively impact on native vegetation and fauna habitat. It is illegal for anyone to destroy native plants and vegetation either through soil removal, landfill, rock removal or boom spraying of land without valid permits and approvals. Significant fines have been issued for people offending under these laws. If vegetation losses are unavoidable there may be a requirement to offset the vegetation being removed which means that measure to protect or improve native vegetation elsewhere in the City of Melton or in the Port Phillip and Westernport Catchment Management Authority area may be required as "compensation" for the loss. There are also other exemptions for certain activities under both Commonwealth and Victorian legislation and the planning scheme so landowners must check how these laws or regulations affect their land. For more information, please contact Council's Environmental Services on 9747 7200. In 2011, Melton City Council sought approval from the Commonwealth Department of Environment and Energy for the upgrade of Gourlay Road, Caroline Springs. The proposed action was determined to be a controlled action under the Environment Protection and Biodiversity Conservation Act (EPBC 2009/5247) in 2012. The controlling provisions were listed threatened species and communities (Sections 18 and 18A). Find out more under the EPBC Act - Council’s offset obligations web page.